click photo to enlarge The corner stone for the Mission was laid in June of 1803 and the mission was dedicated in June of 1812. 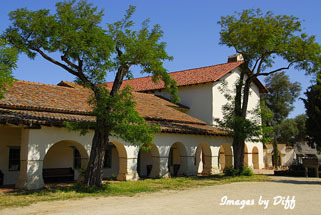 It is the largest of the California missions with 3 aisles. The floor tiles of the of the church have animal prints that happened when the tiles were left outside to dry. Adjacent to the cemetery at the base of the hill is the San Andreas fault. 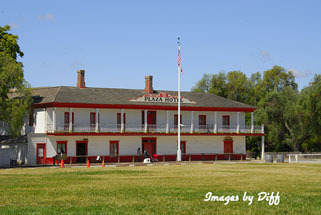 click photo to enlarge The mission is on the Spanish Plaza and also has San Juan Batista State Historic Park. 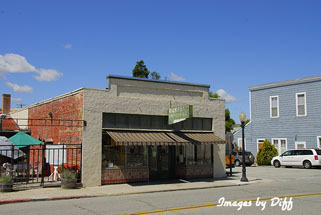 This area once was the town's square. 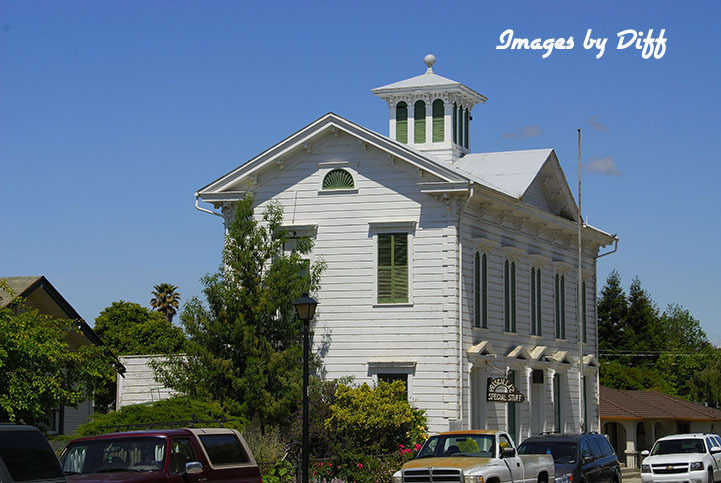 At one time San Juan Batista was the largest city in central California. The state park includes several buildings built in the 1800's and include four museums. 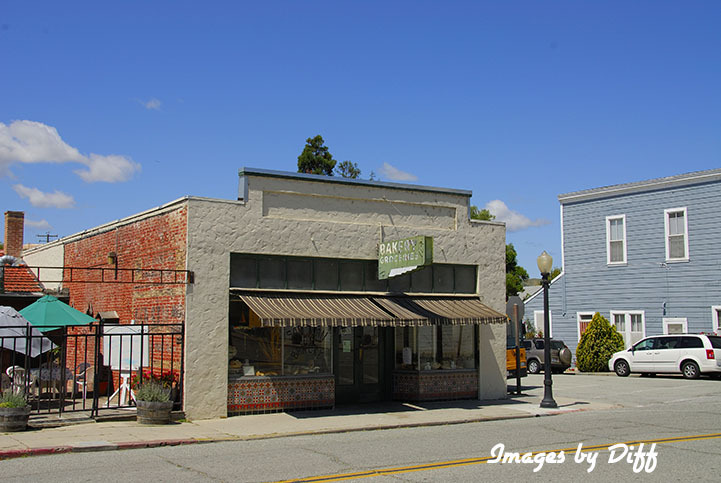 click photo to enlarge The town itself is also has many old buildings and is worth spending some time wandering around. 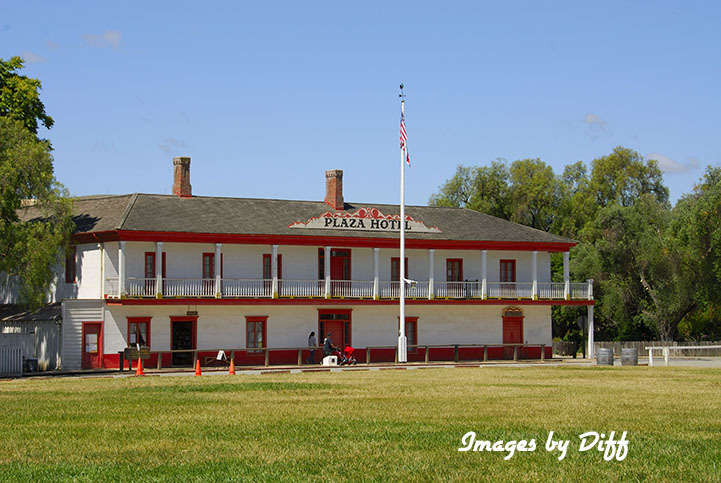 In 1821 Mexico revolted against Spain and won independence for itself and made California a province of the newly independent Mexico. 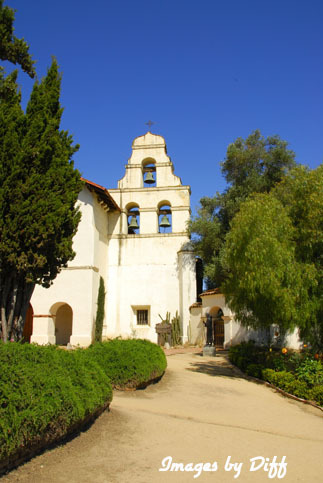 It was after the Mexican American war in 1848 that California became part of the United States in president Polk's spirit of Manifest Destiny.